Hollywood actor Mark Ruffalo, popular for his onscreen character the Hulk, says though he cannot sing and dance, he can do performance-oriented roles in Bollywood.Ruffalo, whose career spans about three decades in Hollywood and who has been seen in popular entertainers such as "Spotlight", "Shutter Island" and "The Kids Are All Right", is here to promote his upcoming Marvel Studios film "Thor: Ragnarok", which is set to hit the Indian screens on November 3.Asked if the perception of Bollywood cinema being only about song and dance has changed, Ruffalo told IANS in a round table conference: "I saw a cool Bollywood film... A tough guy thing where there are rival gangs...'Scarface' characters... more like gangster character. I look forward to seeing what more Indian cinema can come up with. "But would he like to be a part of one? "Why not? I can't sing and dance very well, but I can do some of the straight roles," he said.Ruffalo, 49, will be reprising the role of Bruce Banner/the Hulk in the Taika Waititi's directorial. "Thor: Ragnarok" will see the characters Thor and Hulk battling for the first time. Ruffalo says he has been waiting for this for the past six years. "It was great to smash him (Thor). I have been waiting for six years to smash him... It was really fun. People always want to see Thor and Hulk fight and I've got to do it in this one," Ruffalo answered to a question from IANS. 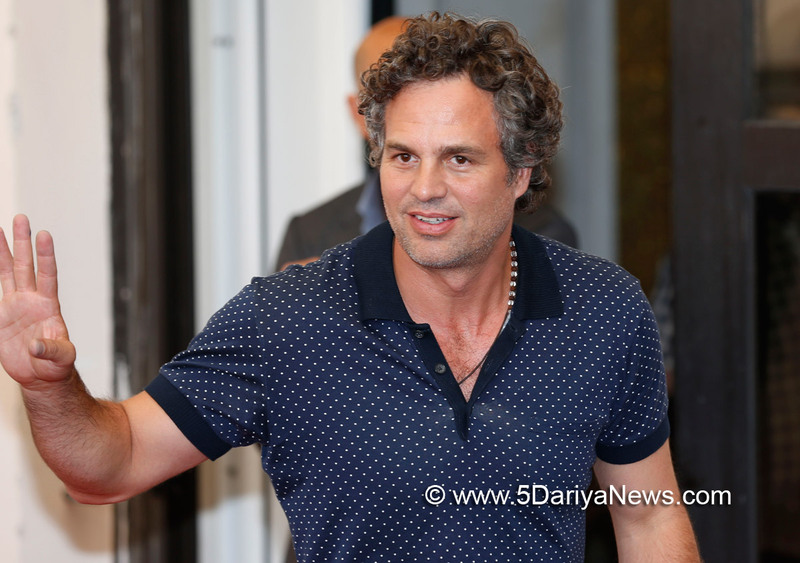 But Ruffalo said he wishes that a stand-alone film could be made on his angry green character. "I'd love that, but that's not going to happen because Universal (Universal Pictures) owns the rights to it," Ruffalo said.The actor went to Marvel Studios' President Kevin Feige to speak about the stand-alone Hulk movie. "I went to Kevin Feige and he brought me into this. He said 'If you want to make a stand-alone Hulk movie, what would it be?' I said 'I'd like to do this...', and he said 'Let's do that in 'Thor 3', 'Avengers 3' and 'Avengers 4', we will spread it across over those three movies," said the actor.Apart from being a part of the superhero genre, Ruffalo has worked in several movies including "Begin Again", "Normal Heart" and "Just Like Heaven". How does he balance between different genres? "It's just more fun. I get bored very easily. So, for me to keep it interesting I like to do different kind of movies," he said.The actor says that he would like to do theatre more. "I'd love too (do more theatre work). One good thing about these movies is that it allows me to do these little things that I love," Ruffalo said.